Under Osney Bridge in a small boat keep away from the LEFT bank because there is a small outfall into a weir stream, and in a large boat keep to the centre of the bridge because of the curved arch. Osney Bridge protects the river above here from the largest of boats by reason of its limited headroom (7 feet and 6 inches - 2.28m.) That is said by some to have been a devious move by a railway company in 1885, at a time when the canals were being overtaken by the railways. I wouldn't know - but I would be sorry to see it changed. The river above here is special and I would not want to see boats any larger than those currently using it. Originally built by Osney monks with three stone arches. 17th Century: A stone bridge. 1869: Osney Bridge was "a serious obstruction". A memorable old character up at Godstow told me he remembered Old Squire Campbell of Buscot having three barges wedged in it, and how Charlie Bossom had to dislodge a boat load of stone from the bridge before they could be released. 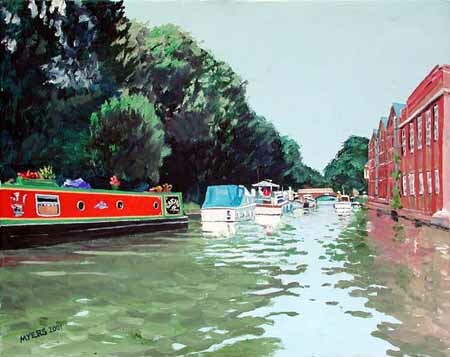 1869: Osney Bridge was replaced. The upstream side of Osney Bridge collapsed following torrential rain. There were three people on that section at the time. Eastman, managed to scramble to the bank outside his house on East Street; two girls also fell off the bridge. Rosa Mole, who was just four years old, daughter of John Mole, a milkman and his wife Martha, was soon rescued still clutching the pennies she had been given to run an errand. But sadly, eleven year old Rhoda Elizabeth Miles drowned and her body was not found until 1888 when the ruins were cleared away. A temporary bridge was put up downstream of the current site, until the new iron bridge could be erected. ... we found that Captain Columbus was making preparations for getting her under a bridge, and also that about half the population of Oxford had come out to see the performance. When we looked at the low arch, and at the headstrong current, it was with no feelings of satisfaction; nevertheless we all embarked, to see what was about to happen, and Murdoch took the tiller, while the tow-rope was passed to the Horse-Marine. Now, we should have run no serious risk but for this circumstance : half of the bridge had recently fallen down, and the authorities, instead of rebuilding it, had contented themselves with blocking up the roadway. 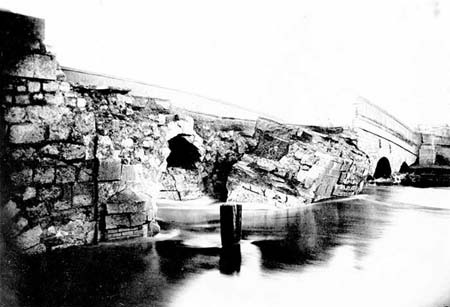 Accordingly, when, as we had almost expected, the Nameless Barge got caught under the arch, we found the masonry just above our heads displaying a series of very alarming cracks ; and the question was as to which of those big blocks, loosened by the friction of the boat, would come crashing down on us. 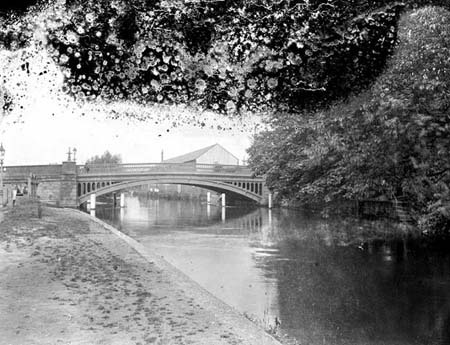 1889: January, the present Osney Bridge was opened. An iron bridge of one span crosses the narrow stream, leading eastward to the railway station and westward to Botley and so to Wytham. 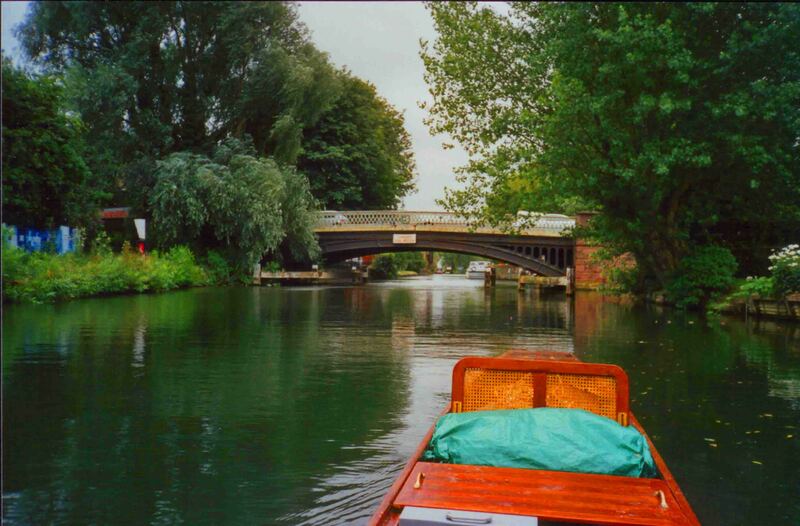 It was built in 1888, succeeding the original stone bridge of three arches built probably by the Osney monks. 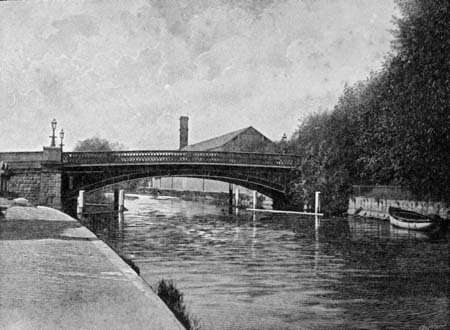 The original Osney Bridge had three stone arches. This was replaced in 1869 by a stone bridge which in part collapsed. 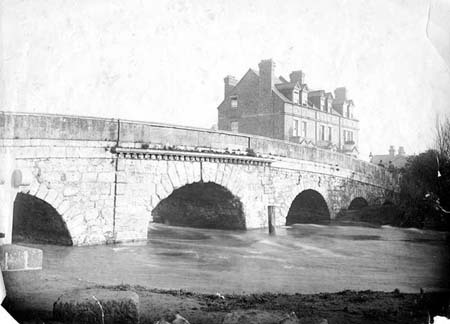 We suggest that when the time comes for this bridge to be reconstructed, every effort should be made to obtain the best skilled advice on the design for the new bridge in scale with the wide avenue across the flats from Botley and possessed of such dignity as befits the approach to an historic city.